In April, 1823 the small steam packet Virginia backed out into the channel of the Mississippi from the St. Louis levee to become the first boat to ascend the Father of Waters into what would later become the Minnesota Territory. 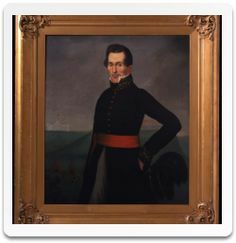 This remarkable journey was chronicled by Giacomo Constantine Beltrami, the Italian explorer who went on to play an important role in Minnesota history. (2) A Kentucky family en route to the lead mines of southern Wisconsin on board the 118-foot vessel represented the first trickle of what would soon become a deluge of immigration. Also on board the Virginia for this historic trip was Captain William Clark of the famed Lewis and Clark Expedition of 1805. There is much here to ponder: the new technology of the steamboat, how this technology changed history, and what timeless truths can we grasp from it? Lord of Mighty Rivers hear my simple thoughts and prayers. Strong Creator, thank You for the scientific properties of water. It’s truly amazing! It’s like Your character, it can appear as ice, liquid, or steam, yet it is always the same substance. You put it into Your creative children to harness this transitional power for the betterment of humankind. Which of their ancestors would imagine that one day their boiling tea kettle would power massive loads upstream against the might of the Mississippi? Here is my first confession and petition. Lord forgive our lack of imagination, both for ourselves, and for the dreams of others. May we practice to spur this generation to dream, and to the enjoyable discipline necessary to their fulfillment. May we be a voice of encouragement that pushes others to defy the current! Thank You for the symbolic value of the lonely Virginia moving slowly to its destination! Next, new technology often makes the impossible possible, and the impractical practical. Again, who in the 18th century would think that their steaming iron maple syrup pot could actually become a boiler? And that that boiler would have the power to move unthinkable payloads up and downstream? And that those payloads would enable trade and previously unimaginable lifestyle for the average American? We, in the 21st century, have the luxury to throw away old socks and t-shirts. Cotton products have become so accessible they are practically disposable. 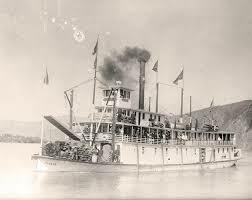 We do not know or remember that our ancestors may have experienced the incredible comfort of cotton articles from the South for the first time because of this steamboat’s success. Conversely, those in the South were likely amazed at the beautiful white flour Minnesota could send them so affordably. Lord, we don’t often pause to remember what it’s like to do without. We do not see the masterful design of a plain white cotton t-shirt, or ponder that in past generations, it was a garment fit for a king. Or that the greatest chefs of Paris were astounded at the silky wheat flour from some unknown place called Minnesota. It was “Incroyable”! Spirit, thank you that You have chosen to live in us! “But you are a shield around me, O Lord; you bestow glory on me and lift up my head.” Psalm 3:3 You are our true fortress. Forgive my attempts at self-protection, or building monuments to my own honor! Granted, some self-protection is just: houses to protect us from the weather, fences to mark our property, the establishment borders for our counties, states, nations, we don’t talk to strangers, etc. You know the heart of Leavenworth, the 5th Infantry, the government, or any unspoken parties in this. Will You have mercy on any unjust fears and self-protection resulting from this event? Will You show us how to preserve both security and privacy in Minnesota?